Hi everyone, As you may know, I was one of the lucky people to win a trip to Dubai to attend the launch of the Nokia 8.1. As you may know, I was one of the lucky people to win a trip to Dubai to attend the launch of the Nokia 8.1. 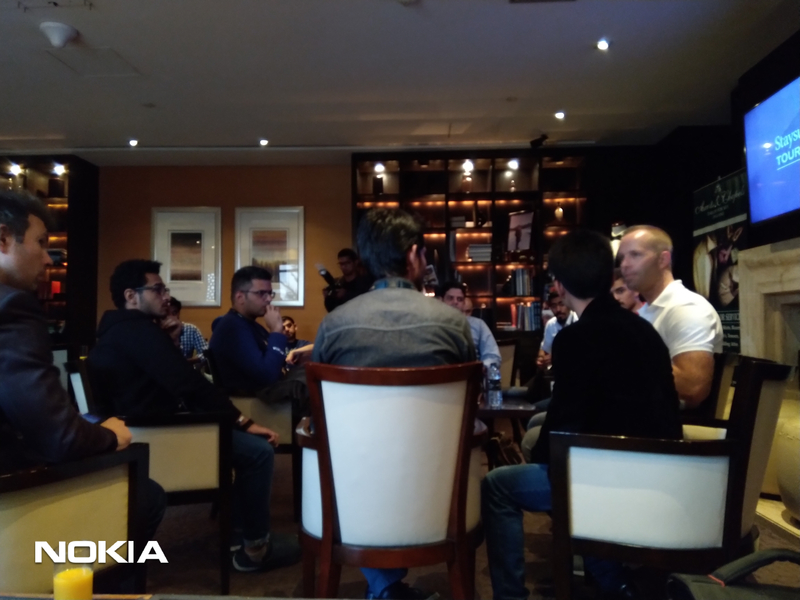 A large group of us (about 20 in total, from the forum and other social media channels, including @SeqTre, @nitheesh, @sajwaz, @singhnsk, @wilson shrestha, @juho lemmetyinen, @nokianchetan and @morozshaun) traveled to Dubai to meet several of the HMD team, including @juho, @edo and @PRIYANSHU. There were many many other members of the HMD team there, but unfortunately I didn't catch all of their names or forum ids. 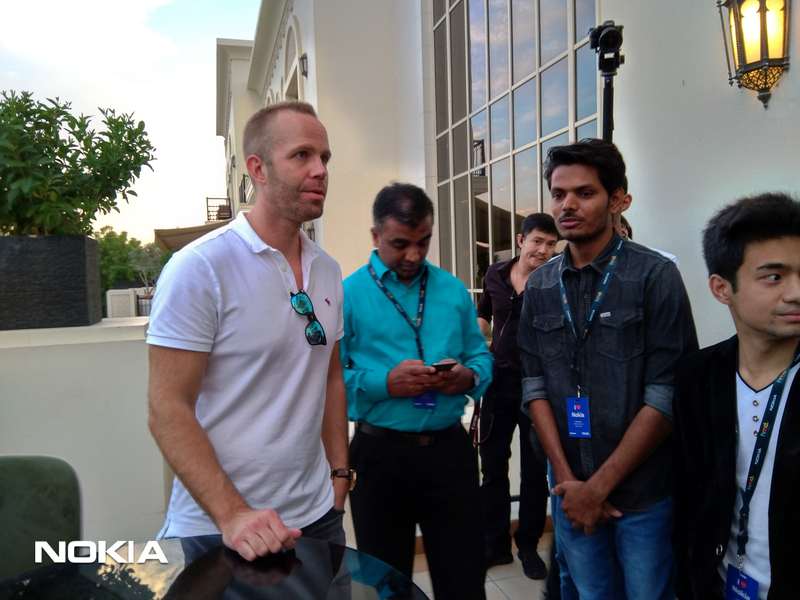 It was a pleasure to meet you all and all the fellow Nokia community. Please, if any other winners know the forum ids of all the HMD staff and other the other community members we met please please tag them in this topic, I'd like to be able to put a username to a face! After the preview we sat with Juho for an introduction and informal question and answer session. I can't speak for everyone but I really appreciated this, it was great to get an insight into many of the decisions which HMD have to make when decided what features and specification to give to a product. Here's my summary of what I remember from the Q&A. I will write a separate post on everything I learnt about the camera, because there's a lot to write and not enough space here. I will also post separately about software. I hope that others will correct me if I got something wrong and add anything which I missed (there was a lot discussed!). My summary is not in any particular order, just the order I remembered! Screen:body ratio, bezels and "the notch"! The top part of the display, "the notch"
Why is the new phone called 8.1 name? HMD did design a chunky extended life battery pack! But sadly for all you 8110 owners, they didn't release it. Maybe you can find some prototypes in some backstreet shops in Shenzhen...! In a discussion about the build quality of older Nokia phones, I mentioned the game where people would put their phones flat on a table with vibrate activated and then call them and see which phone pushed the other off the table! We called this game "phone sumo"! Juho loved the game so much HMD may bring this back as a feature or Play store app! (this was a joke, I'm sure, so please don't flood the forum with "when will Nokia 1/2/3/etc get sumo game on pie, please please plase I ned it!" So, apart from camera and software that's all I can remember from the Q&A, over to you! @madbilly nice topic. You explained very well. I think you have explained everything. If I remember anything else, will definitely post here. Yes, I have the pictures (Not a balcony view). So the possibility of penta camera phone cannot be blown out. @madbilly ;Thank you for this beautiful theme.